providing Friendly, Professional, Trustworthy Service to companies all over Texas. "EXTRA MILE" CUSTOMER SATISFACTION GUARANTEED TO GET THE JOB DONE IN COMPLETION, CLEANLY, PROPERLY, & SMOOTHLY EVERYTIME. We offer every type of Telecommunications option for your business whether Traditional Phone Systems, VoIP (Voice over Internet Protocol), or Hosted - Cloud PBX, with the greatest warranties, and superior mobile, network, & desktop integration that is advanced and user-friendly. We repair and maintain most brands and models and can help with new upgrades, dial tone plans, & troubleshooting. In addition, PNI provides high level expert Structured Cabling & Wiring Services for your business Infrastructure. Whether it's Network Cabling, Fiber Optic, Cat 3, Cat 5, Cat 6, Voice & Data, New Design, Construction, or Re-wiring, you can trust that PNI knows how to do it the right way, at a cost-effective price. We also provide multiple options for Security Cameras, Surveillance Systems, & CCTV for any size business with easy access, fantastic digial mobility, mobile phone management, and TV or desktop integration. 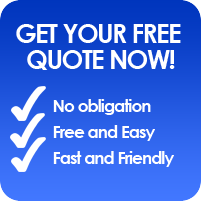 Before you choose any company, give PNI so we can provide you a fair quote with reliable service and friendly experts. We have referrals all over the state of Texas & pride ourselves in having recommendations from well known & reputable businesses and national chains. Please call us for an on-site consultationo or FREE ESTIMATE! And always, we "thank you" for considering PNI!